Mrs. Lorraine J. Rand, a former resident of Georgia passed away on Friday, June 2, 2017, at The Inn at Fairview in Hudson, NH. Her family was at her side. She was born on September 25, 1926, in St. Albans, the daughter of the late Clyde and Evelyn (Lagace) Muzzy. Lorraine was 90 years old. Lorraine married George Rand on October 10, 1959, at Holy Angels Church in St. Albans and settled in Georgia, VT until moving to NH in 2013. He predeceased her on December 17, 2013. Lorraine attended Holy Angels Grammar School and was a 1945 graduate of Bellows Free Academy and then attended the Community College of Vermont. Her working career was with the WWSR Radio Station for 3 years, the former Union Carbide Corporation for 14 years, and then with the W.M. Doolin & Co for 4 years retiring in 1980. 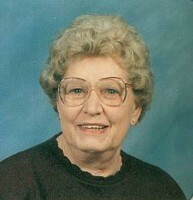 She was a member of Holy Angels Parish until 1968 and then became a member of the Ascension Parish in Georgia. She was secretary and treasurer for the Northwestern Riding & Driving Club for over 40 years, a member of the Ladies of St. Anne, and a member of Green Mountain Post # 1, American Legion Auxiliary. She enjoyed gardening, horses, sewing, bowling, and traveling with George in their RV. Survivors include her daughter and her husband, Pamela and Brian Axtell of Londonderry, NH; and her sons and their wives, Bruce and Terri Rand of Great Falls, MT; Scott and Suzanne Rand, and James and Brenda Rand all of Litchfield, NH; her grandchildren, Ian and Wesley Axtell; Robert, Ryan, Brianna, Christopher, Rebecca, and Joshua Rand; and great granddaughter, Lilli May Rand. Lorraine is also survived by her sister, Kathryn Brouilette of St. Albans; her sisters-in-law, Sylvia and Robert Bales of CO; and Linda Rocque and Mark Minick of GA; and several nieces and nephews. In addition to her parents, Lorraine was preceded in death by a sister, Elizabeth Lawton. Lorraine’s family will greet family and friends on Thursday, June 15, 2017, from 4:00 to 7:00 PM in the Heald Funeral Home, 87 South Main Street, St. Albans. A Mass of Christian Burial will be celebrated on Friday, June 16, 2017, at 11:00 AM in Holy Angels Catholic Church, 245 Lake Street, St. Albans with the Reverend Maurice J. Roy as celebrant. Interment will be held on Saturday, June 17, 2017, at 11:00 AM at the family lot in the Georgia Plain Cemetery. Those wishing to honor Lorraine’s memory are asked to contribute to American Diabetes Association, P.O. Box 15829, Arlington, Virginia 22215 or the Northwestern Riding & Driving Club, PO Box 1314, St. Albans, Vermont 05478. To send Lorraine’s family a written expression of sympathy or share a memory, please go to her-online guest book at www.healdfuneralhome.com.